This week in North Philly Notes, Kristi Brian, author of Reframing Transracial Adoption, reflects on the assumptions commonly articulated by non-adopted people that rightly infuriate many adult adoptees. Thousands of people took to the streets of Moscow earlier this month to protest the adoption ban that prevents U.S. citizens from adopting Russian children. Although the turnout was impressive (reported estimates range from 7,000 to 50,000 protesters) I have to wonder what really brought all these people out. Are the protesters genuinely united for the sake of Russian children as much as they say they are? Do people feel that they honestly need to help preserve the interests of the mostly white, middle-class, U.S. adopters left with pending or halted adoptions? Of course, it’s not too tough to get folks to stand up for the sake of “poor, orphaned children,” but it’s especially easy if a critical mass of people stands practically “at the ready” to yell at the big state machinery that hasn’t done much for them lately. I suspect this was the predominant unifying element of the protesters and I certainly can’t blame dissidents for making the most of a “hot” moment to demonstrate their democratic freedoms. However, when it comes to rallying behind precious, romantic statements about the immensely better life adoptees are destined to have in the U.S., I urge caution. As my research on transnational/transracial adoption from South Korea explains (see Reframing Transracial Adoption), “the better life in America” assumptions commonly articulated by non-adopted people rightly infuriate many adult adoptees. Many of the adoptees I spoke with helped me to understand their reality of navigating the imposition of gratitude that surrounds being “rescued” from a nation often implied as inferior. While it is true that Russian adoptions into white U.S. families are often pursued as a way to avoid the racial component of adoption, questions of belonging, origins, and abandonment are nearly universal to all state-regulated adoptions. Not only do we have a lot to learn from adult adoptee perspectives, but critically observing the rise and fall of massive adoption projects, such as Korean-American adoption (the first and longest-running form of transnational adoption) should allow nation-states to learn from one another’s mistakes. Korea went from being the world’s top “supplier” of children for adoption in the mid-1980s to a “sending nation” that is, at least to some degree, more conscious of the meaning and impact of that history. This change happened through internal and external criticism, and most notably, in recent years through the dedicated reform work of the Korean adoptees who have returned to Korea to help keep more Korean children in Korea. While there may be heartache for families with their minds set on a particular child to “bring home,” I feel abundantly confident that criticism and worldwide scrutiny of transnational adoption serves us all. If nothing else, dramatic legislative actions such as the adoption ban should help us to fine tune our understanding of the relationship between family and the state. Perhaps it will make us ask us what the state has done for our family lately. Or what the role of the state should be in helping us form families. I suspect most of us would like to think of the state as an afterthought. It’s there when we need it otherwise we prefer to keep it out of our family matters. Yet for folks fighting like hell to have the state validate their most intimate, loving partnership as legitimate and legal, the family-state question becomes more vivid. Similarly, for those of us unfortunate enough to find ourselves facing the threat of losing our family members, acquiring them, or reuniting with them based on the intervening policies of a state (including policies of the child welfare system, the police force or the prison system) the power struggle can get ugly. When it comes to your family or your government, who do you expect to win the power struggle? And in the case of transnational adoption, adopters’ vision for family must interface with the power and politics of two nations. When the fate of our families becomes heavily determined by the “personalities” of two competitive capitalist nation-states (with many skeletons in both closets) both posturing as the top contender in human rights protections, we can only expect a stampede of contradictions to complicate our attempts at creating family intimacy. My ethnographic research on adoptive families has led me to a position much like the one being voiced by Russia’s Children’s Rights Ombudsman, Pavel Astakhov. Astakhov has stated candidly at human rights hearings on adoption that the “hysterical warnings” about international adoptions being the best viable solution for Russian children only serves those seeking profit from adoption. The fact of the matter is, as much as we hate to admit it, transnational adoption is a marketplace driven by and reflective of capitalist modes of production. The desires of white Americans and Europeans (predominantly) are the buyers in that marketplace interested in “giving” a better life to a child of their choice. Race does play a big role in which adoption programs adopters choose. Given this fact alone, transnational adoption offers us a chance to follow the advice of philosopher George Yancy as he urges us to shift our gaze (in Look, a White!) 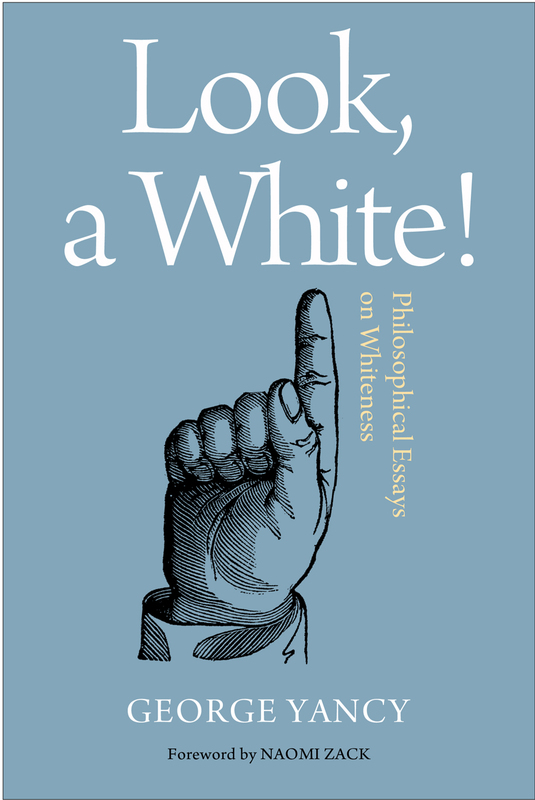 to assess the ways of white folks rather than simply accepting them as the way things ought to be done. 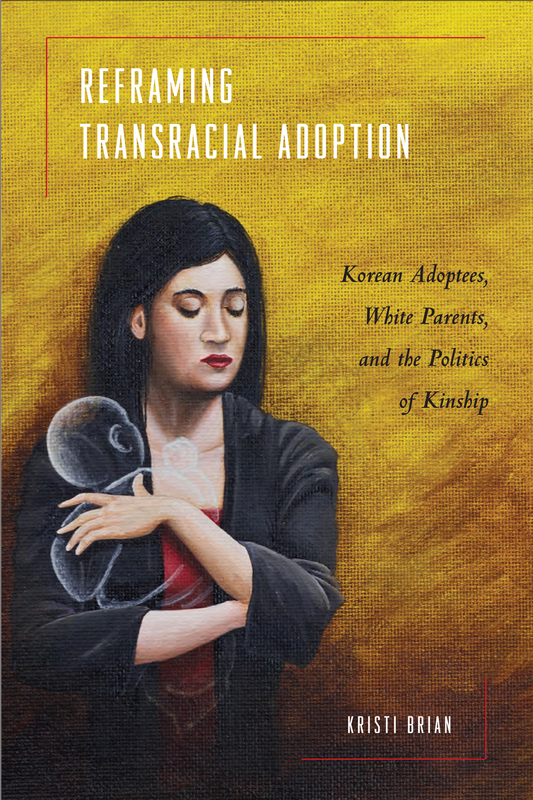 My book explores the actions of white adopters in Korea’s history with transnational adoption. But more importantly it highlights the work of the Korean adoptees who have critically observed adoptive family life in the U.S. as well as the politics of race, culture and statehood surrounding their adoptions. Although Korea has provided more children for overseas adoption than any other place in the world since 1955, Korea has dramatically reduced its numbers down to 627 adoptions to the U.S. last year. That is still a lot of children being transplanted through the complex bureaucracies of two national-states that cannot begin to attend to the life-long emotional realities of adoption. The more we see those numbers decrease in all “sending” countries, the better I feel about our abilities to create home-grown solutions to globalized problems that often masquerade as new ways to embrace superficial multiculturalism. In this blog entry, reprinted from his website, www.chuckfinder.com, The Steelers Encyclopedia author Chuck Finder responds to the recent changes in the Steelers’ lineup. When the Steelers appeared so unSteelers-like last April in picking up Mike Adams and Chris Rainey and their baggage, people wondered. When fellow rookie Alameda Ta’amu was arrested early in the season on a dozen charges related to drunk driving, eyebrows raised. The actions of Thursday proved one thing: The Steelers accept only so much baggage on their plane. Ta’amu got a second chance after his arrest and wound up on the practice squad, though he never played a 2012 game. However, it was his second DUI arrest since 2009, the other coming while at the University of Washington. Rainey’s second arrest — this on simple battery — cost him his Steelers place. No matter his 1,035 yards in kickoff returns and opportunity to move into a larger 2013 role if, as expected, Rashard Mendenhall isn’t re-signed. The Steelers will have to make qualifying offers to leading rusher Jonathan Dwyer and Isaac Redman, and figure to do so with both restricted free agents. Expect them to locate another back, though perhaps not expending a high draft pick on one. They played most of last season almost exclusively with that pair, a sixth-round pick and an undrafted free-agent. Most important, though, is the off-the-field standard: Second, or third, chances end at violence, or even the arrest/charge for it. Leash lengths may vary, but they don’t seem long, do they? * If the Jets nab Omar Khan as general manager, man, it’s a bad time to be $10 million-plus over the Steelers’ cap. He made their abacus hum, their calculators smoke. . . and the pieces fit. * If Todd Haley gets the Arizona Cardinals head coaching job, and interesting how his Kansas City term increasingly looks better in hindsight, here’s an interesting name as a possible offensive-coordinator replacement: No, not Ken Whisenhunt. . . not sure that would work with Ben Roethlisberger and even Mike Tomlin. (Good for Wiz if he gets the Browns job.) Rather, how about. . . Mike Mularkey? He’s a onetime Steelers player, a former tight ends coach and still one of the best offensive coordinators (2001-03) the club has employed in the past generation. In fact, Wiz admitted he learned a bunch from Mularkey, fired Thursday after one season as Jacksonville’s head coach. * Dan Rooney will lose the “emertius” title and return to his chairmanship with the Steelers, the Post-Gazette reported. Sounds as if he’s ready to go back to work. This blog entry reprints Sportista co-author Andy Markovits’ January 9 column from The Huffington Post about racism and sports. Perhaps the most promising factor in the recent incident involving Kevin-Prince Boateng — the Ghanaian-German midfielder for the venerable Italian soccer club AC Milan, kicked the ball into the stands and walked off the field in the middle of the game after having reached his limit of being subjected to the vile racial abuse by some fans of Milan’s opponent Pro Patria — was the loud and demonstrative cheer that other Pro Patria fans accorded the Milan players when they joined Boateng in solidarity thus ending the game. One thing is quite clear: The open — even prideful — use of the ugliest racist invectives imaginable that has become a ubiquitous staple of Europe’s soccer grounds will not disappear via legal steps and institutional interventions by the relevant authorities such as teams, leagues and federations. Rather, they will only do so if and when the fans themselves will find such language and behavior unacceptable. Only the fans can raise the threshold of shame which will eliminate this scourge and make the public expression of racism an iron-clad taboo. What European soccer needs is a “London, Ontario” moment in which a racist fan who had abused Wayne Simmonds, a black Canadian hockey player for the Philadelphia Flyers, by, among others, throwing a banana on the ice was turned in by other fans which subsequently led to the racist fan’s prosecution by the authorities. As long as a majority of fans tacitly tolerates racist invectives towards players (and opposing fans) by a vocal and assertive minority that often enjoys legitimacy for being viewed as the team’s only true and most loyal fans, this scourge will not disappear from Europe’s soccer stadia. Taking pride in racist chants and behavior is, after all, not part of general European culture and discourse. Indeed it barely exists in any other European sports besides soccer. Why there? Because winning in this most important cultural icon attains a special importance, especially for men. And this constitutes the toxic brew. Since sports are almost always adversarial, and since they are competitive contests, winning plays a crucial role. The importance accorded to winning creates an atmosphere in which contestants and their supporters will do everything to achieve victory. This includes deriding the opponent, taunting him, making him uncomfortable and insecure, trash talking and “getting into his head”. After all, these are among the most powerful components of what is “home field advantage,” “the 12th man” to stay with football (of the American or Association variety). And who is to decree what constitutes permissible language and behavior in the act of exercising partisanship? If fans can make fun of a contestant’s looks or the colors of his uniform, who is to say that they cannot deride his race? Who is to draw the line of properness and with what logic? The more important the sport’s cultural standing is in a society, the more important winning in it becomes. With soccer being by far the most culturally dominant sport in Europe (and Latin America as well, where European-style fan behavior is also commonplace) winning in it becomes paramount and non-negotiable. As to the role of men: they have been massively overrepresented in the production and consumption of soccer (and similar culturally dominant team sports) since its modern incarnation in the late 19th century. Women remained excluded from the sports world on both sides of the Atlantic until the major changes wrought by the feminist movement of the late 1960s and early 1970s which, in the meantime, have rendered women close to men’s equivalents in terms of their numerical presence as athletes. However, women’s involvement as fans has thus far assumed a different trajectory in that their following of sports varies both in its quantity and texture from that of their typical male counterpart. Moreover, it is on this dimension that there exists a major difference between the venues in American team sports and European soccer with the former featuring a much larger presence of female spectators compared to the latter’s continued paucity, especially on the grounds of lesser pedigreed teams. And even though the ugliest expressions of racism, xenophobia and homophobia have been subdued — though far from eliminated — at Europe’s top-tier leagues where appearances do matter for the global product that these leagues are hawking to a global audience, the event from Pro Patria’s ground which caused Kevin-Prince Boateng to exit from his torment remains quite the norm in the venues of European soccer’s lesser leagues. Not coincidentally, there are far fewer female spectators attending matches in these leagues as there are in the fancy stadia of the top leagues. There is no question that a larger percentage of female spectators in European soccer would help diminish, if not eliminate, the abominable behavior and language that have continued to mar “the beautiful game” as soccer fans so proudly — and quite plausibly — like to tout this sport. It would not be the first time that women would assume the role of men’s civilizing agents in human history. Andrei S. Markovits teaches at the University of Michigan. 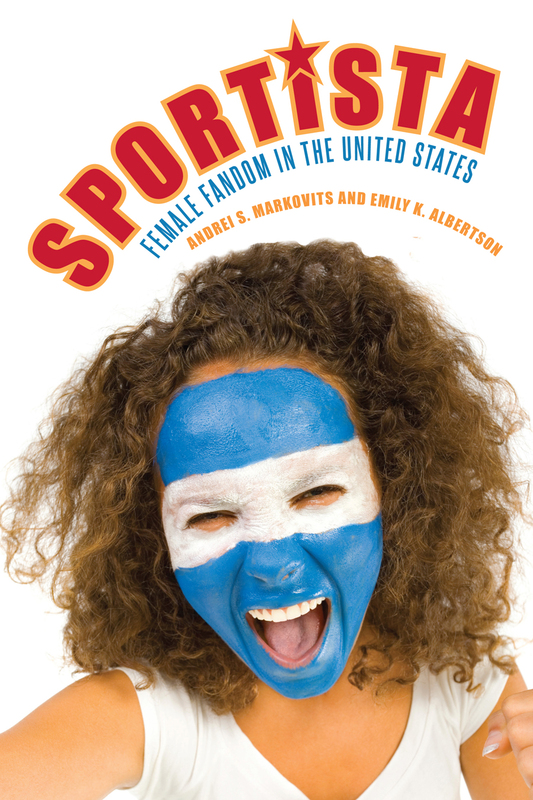 His latest book is SPORTISTA: FEMALE FANDOM IN THE UNITED STATES co-authored with Emily Albertson and published by Temple University Press. Temple University Press is saddened to learn of the passing of women’s historian Gerda Lerner. In honor of Dr. Lerner, we are re-posting this interview from the Chronicle of Higher Education. The writing of one’s life can offer an “explanatory myth” at worst and an “entertaining tale” at best, says Gerda Lerner, a professor emerita of history at the University of Wisconsin at Madison. In Fireweed: A Political Autobiography (Temple University Press), she recounts the prehistory of her career in what she calls the “intellectual revolution” of women’s history, a field on which she left a pioneering mark with such works as The Woman in American History (1971), The Creation of Patriarchy (1986), and The Creation of Feminist Consciousness (1993). Q: You grew up in Austria in the 1920s and ’30s. How did that experience influence the development of your political consciousness? A: From an early age, I experienced revolution, counterrevolution, military occupation, and fascism. I was imprisoned, I was a hostage—I lived in great danger. I was essentially struggling for my life. Living through this makes you very much aware of politics as a force in life and of the need to struggle for human rights. A: There was a period when, though I was disillusioned with the Communist Party, I was still a Marxist. Then, after 1958, when I began to study academically, I began to have serious problems with the doctrine in regard to women. It was my feminism that made me realize that Marxism was wrong. Q: You went many decades without publicly discussing this chapter in your life, the Communist years. Why now? A: Well, I’m 81 years old—when am I going to do it if not now? I felt uneasy about evading the issue based on fear. I felt that I owed it to myself and to the people who have learned from me and respect me to tell them the whole story. And I feel that there is something to be learned from my story. Q: What, exactly, would you say that is? A: That active political engagement is good for thinking. If you are engaged in the world, you have a way of testing your thinking. I tested Marxist thought. It didn’t work. Q: At the very end of the book, you say that for many years you felt that you had nothing to apologize for, but you go on to say that you feel differently about this now. Why the change? A: We learned things that we did not know at the time. I defended the Hitler-Stalin pact [over which thousands of Communists left the party] at the time, and I’m sorry I did. The decisions I made in my life seemed to have a good logic then, even if 60 years later, that logic may not stand up.